In 1944, a ten year-old girl Molly worries that Christmas won’t be so happy. Molly’s father is a doctor in the war in Europe. Each Christmas he has sent a box of gifts, but as this year Christmas draws closer, but the box of gifts won’t arrive. 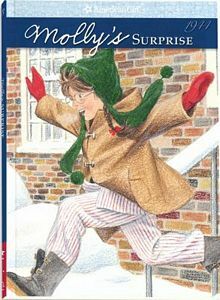 Read Mollys Surprise: A Christmas Story and find out whether Molly will receive the package or not.